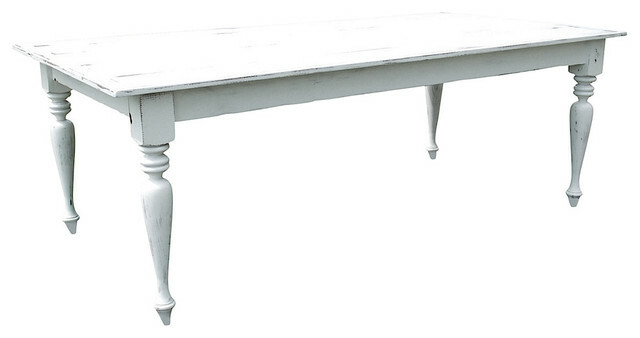 Distressed Farmhouse Dining Table shown in Picket Fence-white. All products are made to order. Please allow 6 to 8 weeks for delivery of your product. *As our furniture is made to order, all sales are final, please. W 84" / D 42" / H 30"